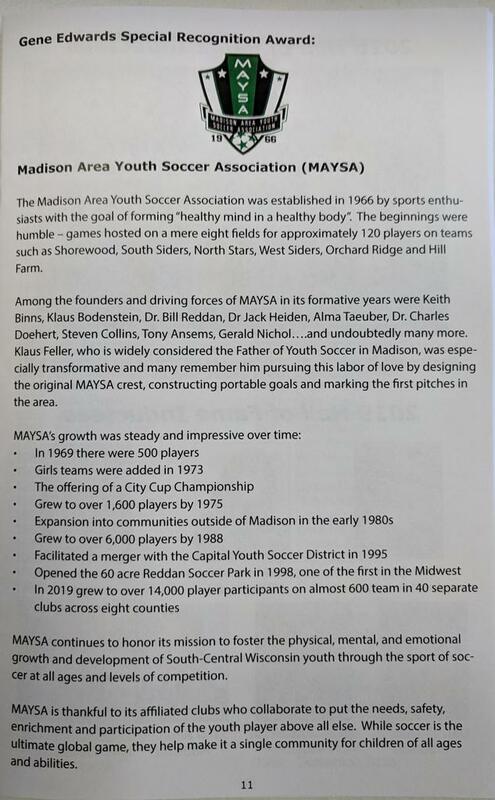 MAYSA was honored at this year's WYSA AGM with the Gene Edwards Special Recognition Award. Gene Edwards was a Milwaukee native and legend at the local, national and international levels. 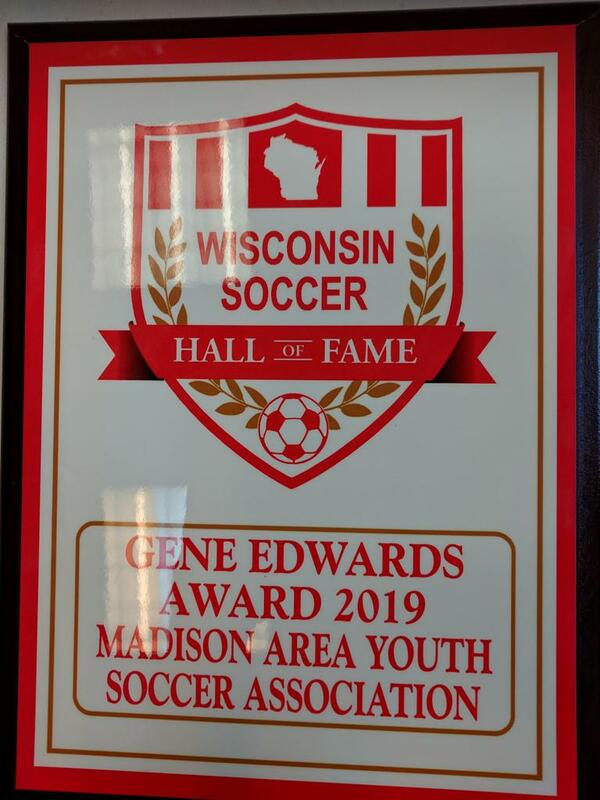 He served 10 terms as president of the Wisconsin Soccer Association and another 10 terms as US Soccer Association president.